If you are looking for ideas for a gift, you can consider our suggestion. Pandora’s jewelry universe is designed for you to create and combine. Choose from the wide range of bracelets and charms to express your personal style. Pandora bracelets were introduced in the year 2000. They have a patented threading system, “Necklaces and bracelets for keepers”, that allows charms to be added. There are over 600 handcrafted charms, available in sterling silver, 14K gold, murano glass, wood and white gold, with semi precious stones like amethyst, onyx and pearls. Other accessories for the bracelets include spacers and clips, which secure the loose beads in place and prevent them from falling off the bracelet, when it is opened. It also helps with the distribution of weight, allowing for minimal stretching. With so many options, it can be difficult to picture what your perfect Pandora bracelet should look like. You need to consider what type of bracelet chain to get, how many charms to add to the bracelet, what bead pairs with what charm. Your options are unlimited. So, you can start with just a few charms and collect more over time or you can buy a bracelet, replete with charms and beads. 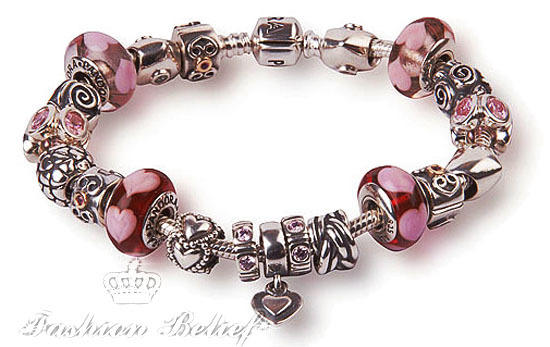 Pandora’s website has a cool feature, called Bracelet Designer. 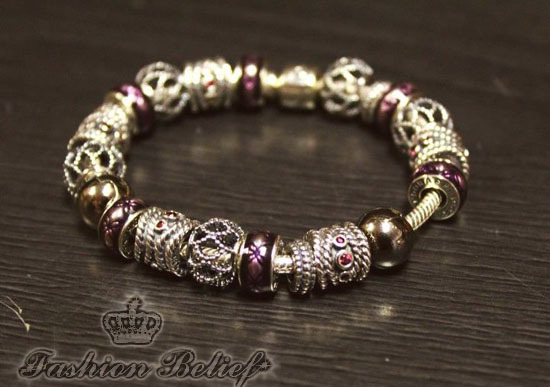 Is allows you to create your own designs and see what your bracelet will look like. You start by selecting the type of the chain for the bracelet and its length. Then you add the charms you like. You have the option to choose the material, the stones and the themes you want or you can just see what’s newest or popular. 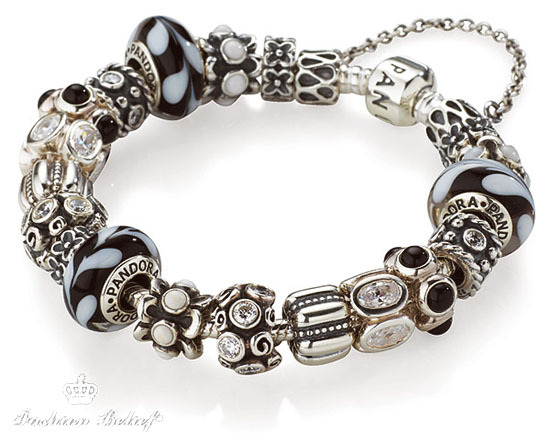 Add, remove and rearrange the charms and beads, until you are happy with the design you create. The price of the final product is automatically calculated for you. Pandora bracelets are perfect for every occasion. 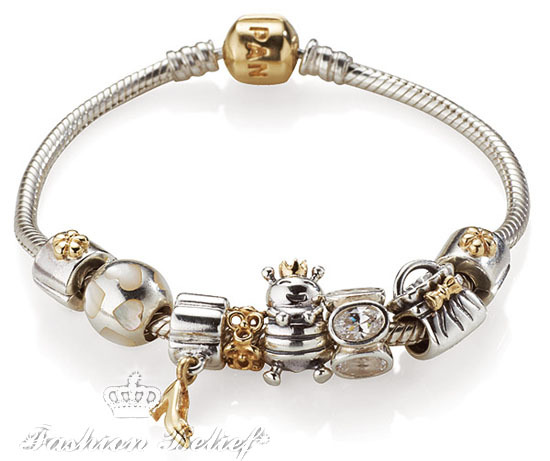 Combine a Pandora bracelet with your personal choice of charms. With more than 600 pieces to choose from, you are sure to find one for each of your special moments.